This little guy was only a couple of weeks old when we spied him. His mother didn’t let us see him for long. Photo take in Botswana. 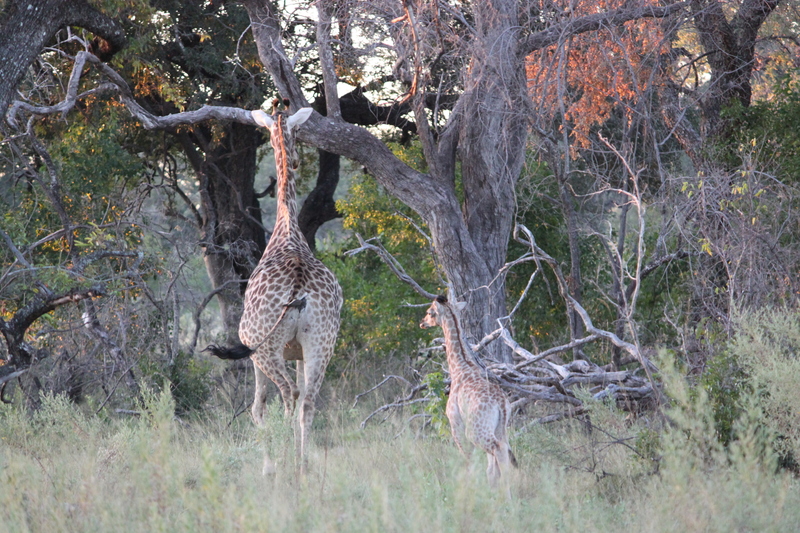 This entry was posted in Africa, Animals, Blog, Blogging, Travel, Travel Photos and tagged 50 Year Project, Africa, Animals, Baby Giraffe, Blog, Blogging, Botswana, Giraffes, Life, Nature, Okavango Delta, Photography, Travel, Travel Blog, Travel Journal, Travel Photos, Wildlife. Bookmark the permalink. What a beautiful shot TBM! Love it! What a sweetie. Thanks for the photo! What a special thing to see. Cute little thing! How cool to see that. I bet he is still taller than a human, though. Yes, their little is much different than ours. You have been so lucky where it comes to spying wildlife. Nice. I wish I could take the credit. We had very good guides. It was amazing watching them track animal prints. Thank you! It was special to see. Run, Forest, Run!!!! He is adorable and I bet his momma did hurry him along away from you!!! Cute cute cute! Baby giraffes are the best! Catching the youngster is a treasure!